Semantik - mindmapping-like tool for document generation. 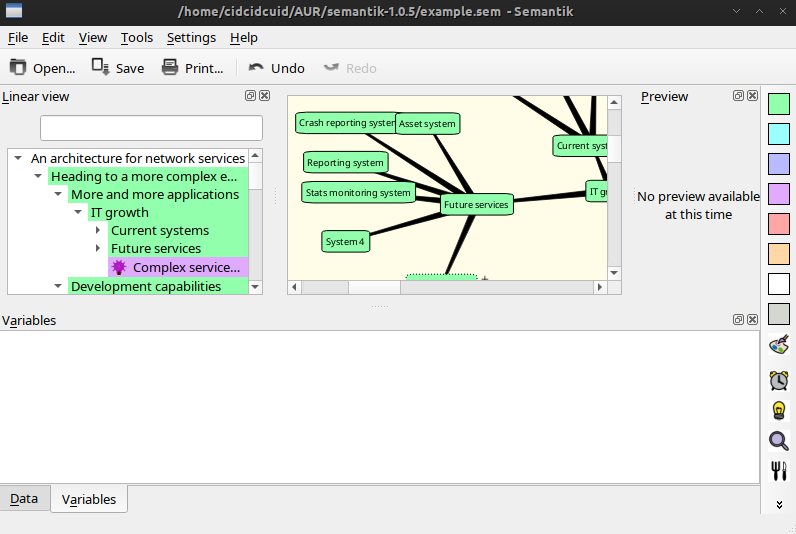 Semantik is a mind-mapping application for KDE that helps creating documents such as reports or presentations (formerly kdissert). Mind-maps are edited either as flat trees (linear view on the left) or in two dimensions (center). Each node on the map can be associated with tables, text, pictures or diagrams (botton level). Maps are then converted to "flat" documents such as presentations or reports using document generators. This enables the rapid creation of technical documentation in the LaTeX, OpenOffice or Html format. But if it's not updated you can build from source code. If it's not installed you can install it by pacman. If you don't know how it works, just open it in the sample file that is available, then please try to modify the file. 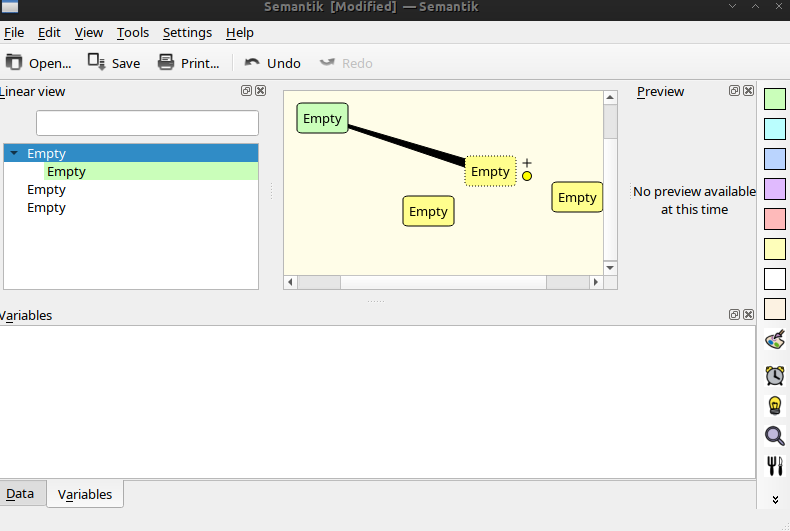 If you already know the concept, then you can create your own diagram using this semantic application. 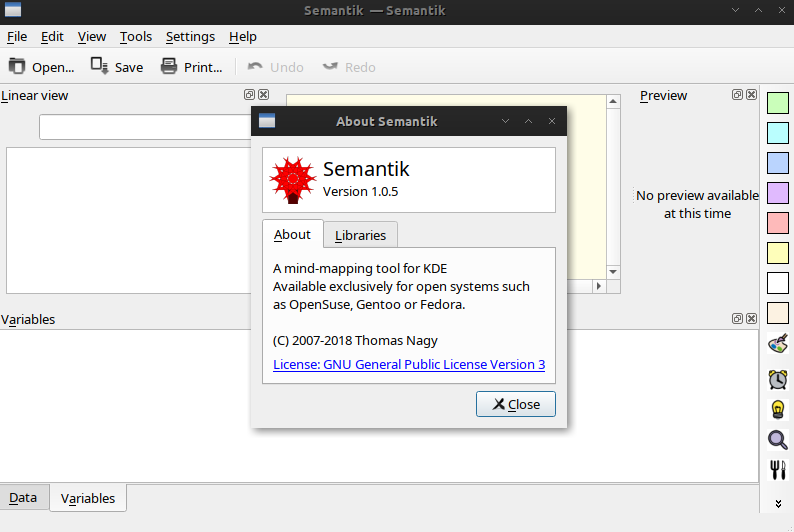 Ok that's all about the semantik and installation in archlinux, try the application by yourself.